Metallica drummer Lars Ulrich has added fuel (and fire) to the desires of the band’s Australian fans, as they wait patiently for the band to return down under. Metallica haven’t performed in Australia since Soundwave Festival in 2013, and completed their last headline tour of Australia back in 2010, but Ulrich says the band have “gotta go to Australia” at some point during their current tour behind latest album Hardwired… To Self-Destruct. In an interview published earlier this month through the band’s ‘Met Club’ fanclub and its So What! magazine, Ulrich was asked by So What!’s Steffan Chirazi about whether the group’s ‘WorldWired Tour’ will finish in 2019 or “edge into 2020”. “I mean obviously there’s an end at some point,” Ulrich said. “We gotta just sit and look. There’s Japan. There’s Australia. There’s New Zealand. There’s a couple other pockets that obviously Metallica has a long and very cool relationship with, so we just gotta sit down and figure it out. “But to me the most important thing is, and this goes back to what we were talking about [the last time], the maintenance thing. We gotta go to Japan, we gotta go to Australia, we gotta go here, we gotta go there. That’s fine. As long as it’s done within the boundaries that exist. 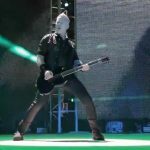 Metallica were believed to be touring Australia in 2017, after former Soundwave boss AJ Maddah hinted in late 2016 that a tour was happening. Maddah later claimed that Metallica will tour Australia in 2018, but a local tour is yet to be announced. If Lars Ulrich is to be believed, it sounds like the band aren’t in any hurry to wrap up their current tour, so Australian fans could be waiting a while longer. Metallica kicked off their WorldWired Tour in 2016, and it has already made its way through the US, Canada, South America, Europe, Latin America and parts of Asia. 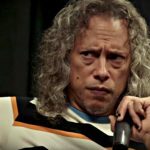 The post Metallica Have “Gotta Go To Australia”, Says Drummer Lars Ulrich appeared first on Music Feeds.